For plants and flowers, wasps are beneficial insects that aid in pollination. 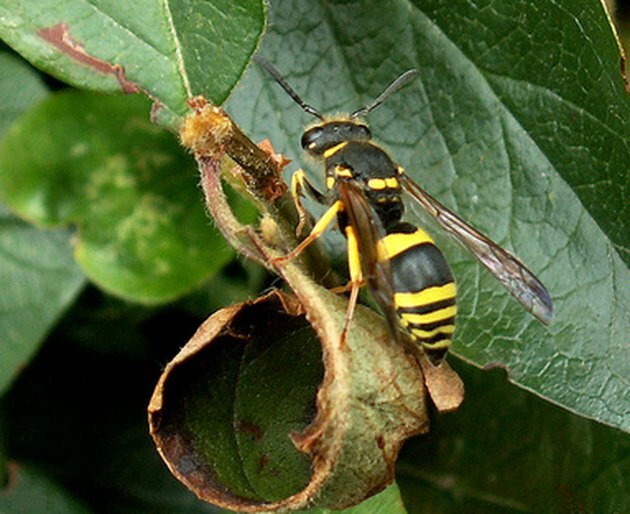 Wasps also feed on insects that harm plants. However, in the summer wasps are not friendly visitors to outdoor events, where they might be interested in your food or drink and can become aggressive. Wasps have large stingers that inject venom. Although this sting is painful, it is usually only irritating if the person is allergic to it. Wasps can either live in colonies or alone, building nests along the eaves of your house or in the ground. Wasps, like bees, are attracted to certain kinds of plants. Keeping these plants out of your yard is a good first step to keeping the insects away. Wasps are beneficial to plants and flowers, but many people are allergic to their sting. Sweet fennel is an herb with a sweet licorice or anise scent. Small yellow flowers bloom in clusters that attract bees, butterflies and wasps to the garden in the summer. Fennel grows in full sun and thrives in zones 4 to 9. This herb can sometimes reach a height of 6 feet. In cooking, fennel is used to flavor stews, roasts or in place of onion. It's a common ingredient in Mediterranean dishes. 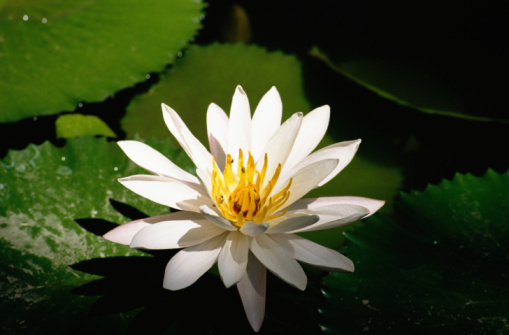 This flower is named for the delicate white flower heads that resemble lace. Also known as wild carrot, Queen Anne's lace is related to the common cultivated carrot, and the large tap root is edible, but the leaves can cause skin irritation. Queen Anne's lace grows to 4 feet tall and can be found all over the United States, growing wild in ditches or dry fields. The flowers bloom from early spring into the fall and can often be seen with buzzing bees and insects, including wasps, which feed on other insects. Growing to 36 inches tall, yarrow is a perennial with large clusters of flowers that bloom in shades of yellow, pink or white. Yarrow is a tough plant, growing from zones 3 to 10 in full sun. It's drought resistant and quite invasive if left alone. The leaves and flowers of yarrow are aromatic. Yarrow has been used for medicinal purposes for centuries as an antiseptic or to fight against colds and purify the blood. Wasps are attracted to the spearmint plant because of the myriad of other insects attracted to this plant's fuzzy white flower. Spearmint is an herb that is quite invasive, spreading quickly over moist soil. It can be found in most parts of America. The leaves can be dried and used for a refreshing tea, added to salads or used as a garnish. Mint jelly is often made from this plant. Spearmint is also used as a treatment for wasp stings.